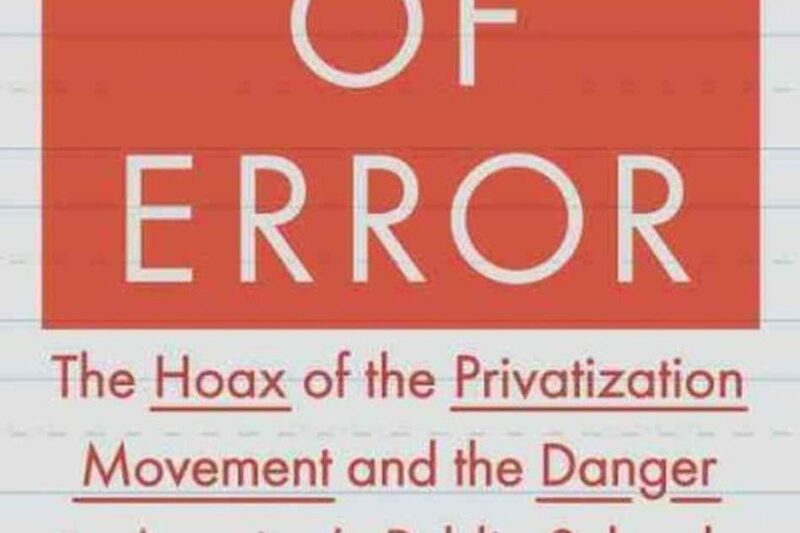 Join us for a Facebook discussion on Diane Ravitch’s book, Reign of Error: The Hoax of the Privatization Movement and the Danger to America’s Public Schools at 10am (U.S. Central/5pm European Central) on March 4, 2017. We will stream the chat live on our Facebook page: facebook.com/educationfutures. In a chapter-by-chapter breakdown she puts forth a plan for what can be done to preserve and improve our public schools. She makes clear what is right about U.S. education, how policy makers are failing to address the root causes of educational failure, and how we can fix it.